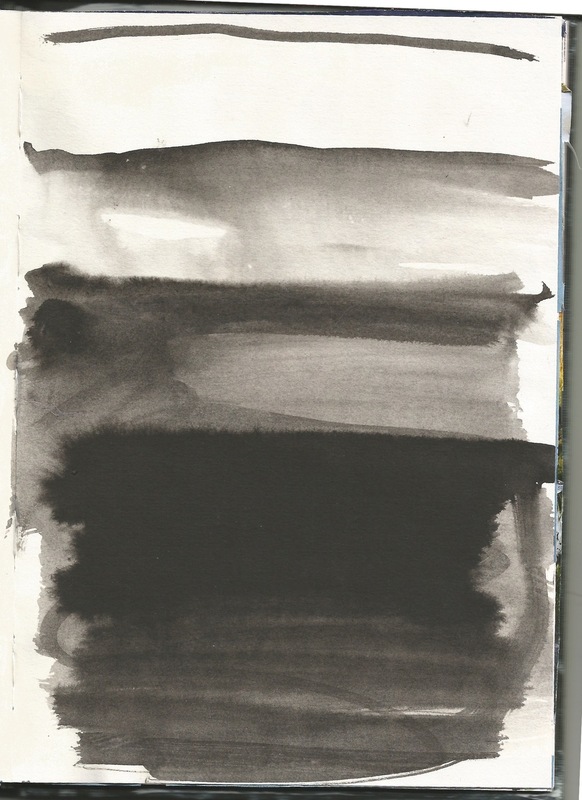 Ink - I love it's fluidity. I've been taking a beginner art class. As a refresher really, but it has reintroduced me to a medium I left behind ages ago. I always found it too messy and imprecise, but lately I've been using it just for that reason. It flows so nicely, both from the pen and from the brush. The blacks are so true and the washes subtle. More to come with this I'm sure. I continue to play with collage as a quick way to get out ideas. Painting is coming, I can tell, but it is fun to randomly cut an paste shapes and see what happens (Collage 4). In Collage 5, I decided to get more literal, falling back on images from a few years back - bottles and bowls. Collage 6, started with a slice of an image of a garden from a magazine and then I found my bottle of ink- landscape-esque. Collage 4 : random cuts exploring waves. 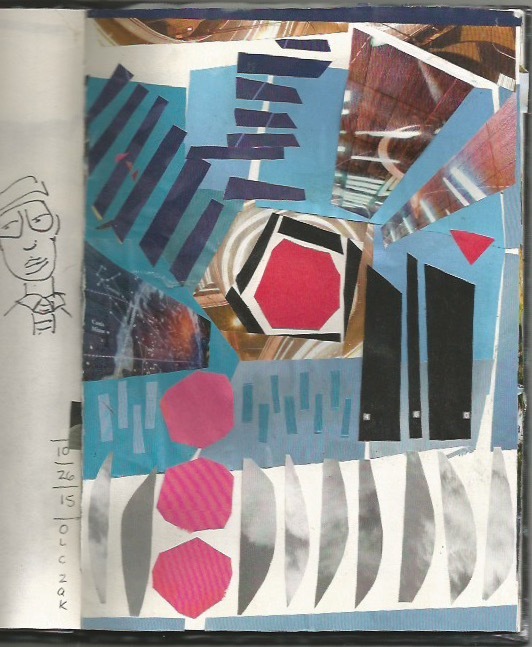 Collage 5: Still life from magazine cuts. Collage 6: Landscape inspired - collage and ink and gouache. 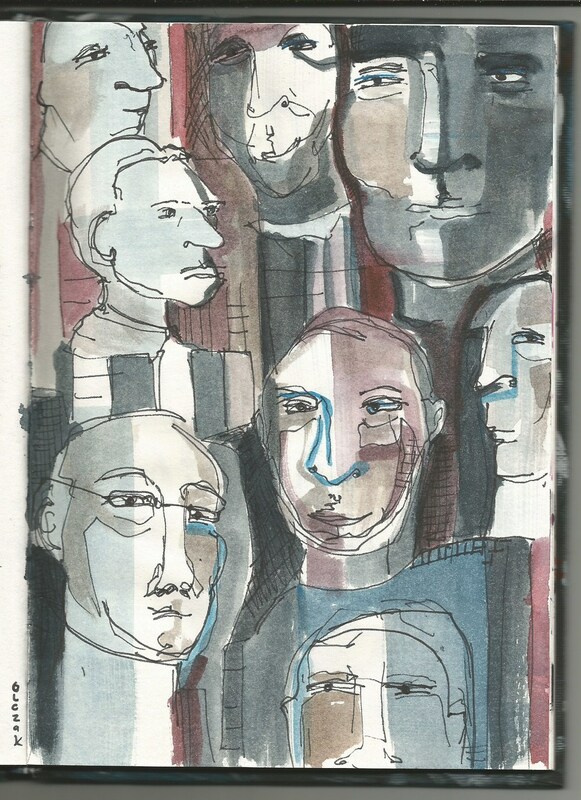 What follows is a collection of images from my sketchbook - faces. not real people, gestures mostly. Impressions. 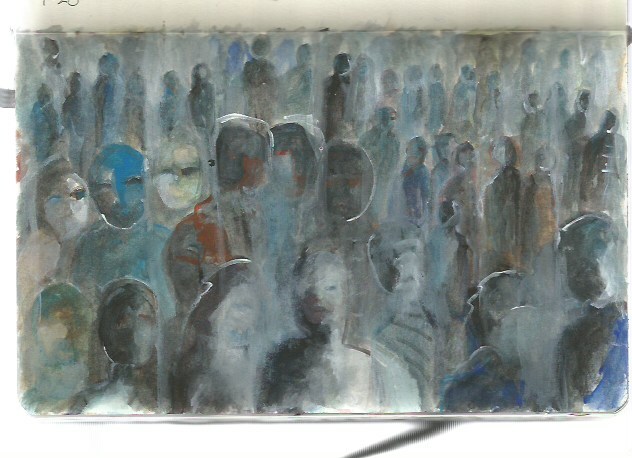 In watercolour, gouache, pen and sometimes a mix of all three. Dates (especially in August, are approximate) Interestingly, this exploration is filling my sketchbook as I go back to fill in the facing pages that normally I would leave blank. It's rather fulfilling. Also, this is the first time I have used gouache -- it's interesting and I like it's ability to be somewhere between watercolour and acrylic. 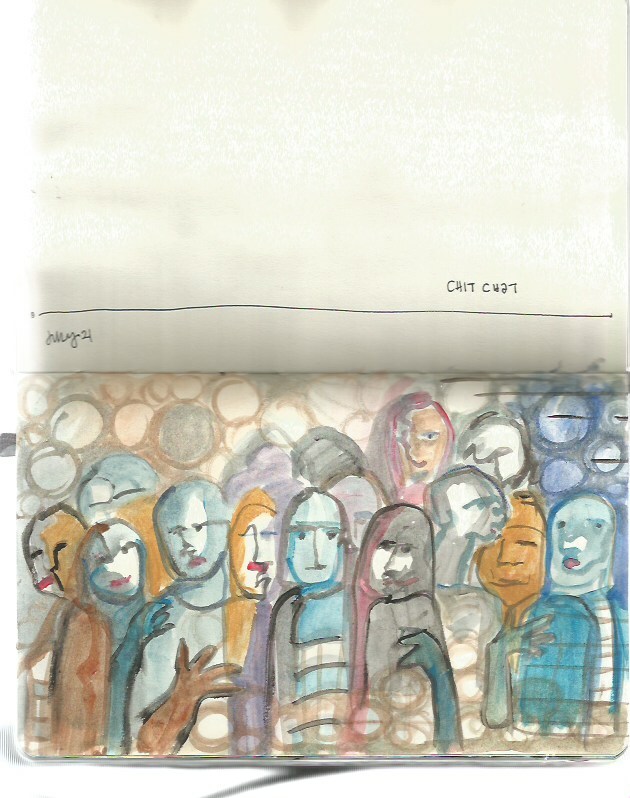 A sketch of sorts - a painting sketch. Not something I usually do - a portrait. It's small, only 4x6" on one of those little canvas boards. Just needed to try something different - for me. I do like the red though. free flowing, fine marker on paper. building up and out from the centre. organic shapes of my garden. I love the haphazard framing of the instagram selfie. I didn't make it to yoga. I drew it instead. from yesterday - january 11 - a quick sketch after a walk at the beach. quick sketch of the typical east end detached. done without specs, early this morning. street view - two doors from a row of eight.